Among many firsts in a career that spanned three continents and six decades, Saeed Jaffrey could claim to be the first Asian actor to tour Shakespeare in the US and to appear on Broadway, and the first to be awarded an OBE. Born in Malerkotla, India, as calls for independence from British rule began to gather political momentum, he was the son of a doctor and grandson of the state’s prime minister. A Muslim in a majority Hindu country, he was educated in Christian schools, where his interest in acting was fostered by appearances as the cockney cook, Mason, in Journey’s End and Kate Hardcastle in She Stoops to Conquer. In 1951, he co-founded the English-language Unity Theatre in Delhi, where he directed and acted, before moving to London in 1955 to enrol at RADA. On graduating, he left the UK for the US where he acted in summer stock and trained with Lee Strasberg at the Actors Studio. He made his Broadway debut as Professor Godbole in A Passage to India in 1962. The following year, he appeared on tour in Brecht on Brecht with Lotte Lenya, who dubbed him “the John Barrymore of Bombay”. He returned to the UK in 1965 as the god Brahma in Kindly Monkeys at the Arts Theatre, London. His second West End appearance came in 1969 at the St Martin’s Theatre in On a Foggy Day, a four-hander that also starred Margaret Lockwood, Siobhan McKenna and Kenneth Connor. In 1971, he was seen alongside Ingrid Bergman in a revival of Captain Brassbound’s Conversion at the Cambridge Theatre, London. As television and film commitments increased, his theatre profile lessened, although he was seen at the Riverside Studios, London, in 1980 in Hanif Kureishi’s The Mother Country and as Oberon to Sally Dexter’s Titania in A Midsummer Night’s Dream at Regent’s Park Open Air Theatre in 1989. Later stage credits included Christopher Hampton’s White Chameleon in 1991 at the National Theatre, where he regularly returned, Hugh Pickering in My Fair Lady (Crucible Theatre, Sheffield, 1998) and The Kralahome in The King and I (London Palladium, 2001). Although early screen roles were marked by caricature and stereotype, Jaffrey proved himself to be a resourceful actor capable of making his mark in the BBC’s controversial and groundbreaking Gangsters (1975-78), large-scale, primetime epics The Raj Quartet (1982) and The Jewel in the Crown (1984), Tandoori Nights (1985-87) – Channel 4’s first all-Asian comedy – and ITV’s iconic soap Coronation Street (1999). He amassed almost 200 screen credits (more than half of them in his native India), with prominent film appearances including Billy Fish in The Man Who Would Be King (1975), The Chess Players (1977), Gandhi (1982) and his BAFTA-nominated role as a Thatcher-era Pakistani entrepreneur in My Beautiful Launderette (1985). A prolific contributor to BBC Radio Drama, he notably adapted Vikram Seth’s A Suitable Boy for the World Service in 1997, playing all 86 characters. He published his autobiography, Saeed: An Actor’s Journey, in 1998. 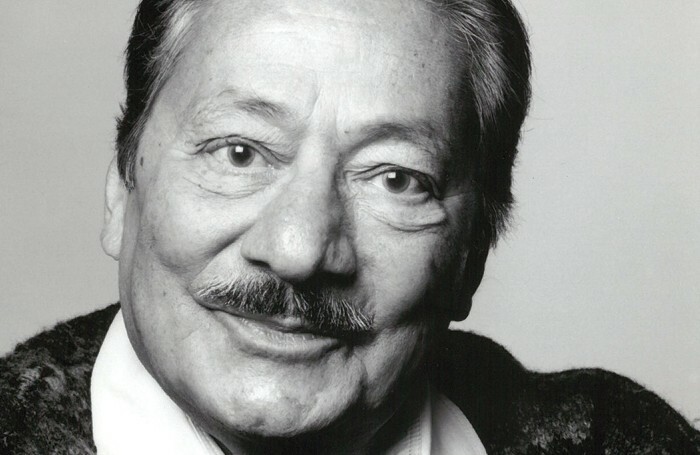 Saeed Jaffrey was born Saeed Joffrey on January 8, 1929 and died on November 14, aged 86. He is survived by his first wife, the actress-turned-food writer Madhur Jaffrey, their three daughters and his second wife, casting director Jennifer Sorrell.